Etsu (Kyoto, Japan) on 12 September 2017 in Landscape & Rural and Portfolio. You can slightly see the silhouette of Mt. Fuji in the background. 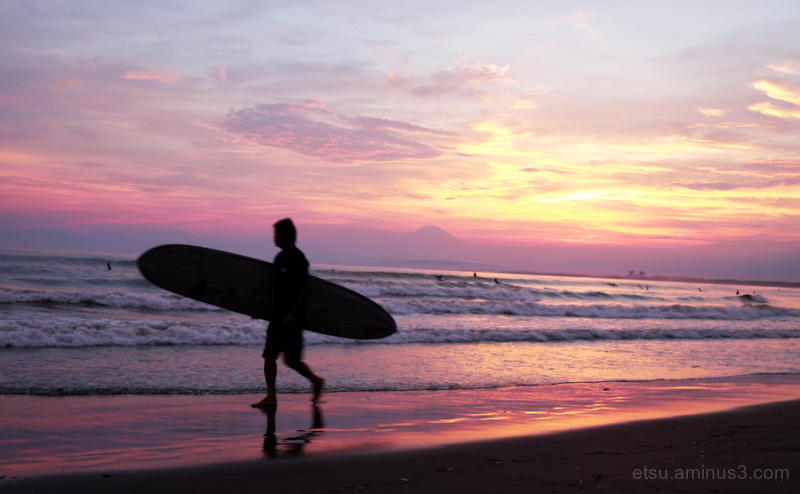 Beautiful silhouette and composition with Mt Fuji in background ! nice colors of sunset ! Ah, so beautiful! Love the colors and Fuji-san. Great shot with lovely colours and silhouette.